"The Euro Club Index currently makes Liverpool the favourites to win this season's Premier League (63% chance to Manchester City's 37%). "The next 10 days will be critical as the reason for this is City's tougher schedule which includes matches against Tottenham Hotspur and Manchester United. 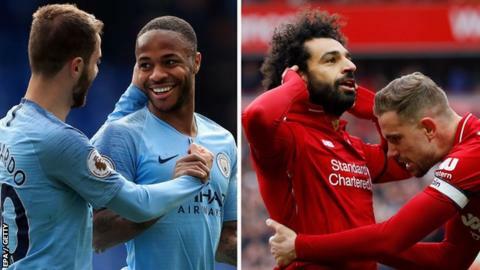 If, and it is a big if, Manchester City win both of those fixtures, they will be favourites regardless of whether Liverpool win at Cardiff City at the weekend. "My own personal opinion is that whichever of the two clubs is top at the end of Wednesday April 24 will win the league."